How much is Patrick Kielty Worth? Patrick Kielty net worth: Patrick Kielty is an Irish comedian and television personality who has a net worth of $10 million. That is a combined net worth with his wife Cat Deeley. 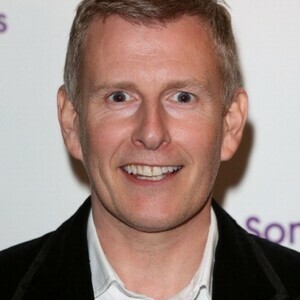 Patrick Kielty was born in Dundrum, County Down, Northern Ireland in January 1971. He has presented on the TV series Celebrity Love Island, Comic Relief Does Fame Academy, Stand Up for the Week, Mock the Week, Breakfast, and The One Show. Kielty has been featured on many stand up specials including Patrick Kielty Almost Live and Live at the Apollo. Patrick married television presenter Cat Deeley in 2012 and their first son was born in January 2016. They welcomed a second son in June 2018. Patrick Kielty has been nominated for Best Television Personality at the Irish Film and Television Awards in 2000 and 2003. He is extremely active in various charities including Soccer Aid and Sport Relief.